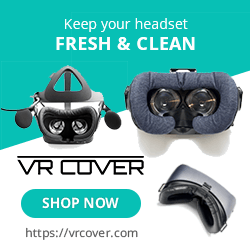 One of the biggest entertainment franchises has finally made its way to VR and stays very true to its original roots while still embracing the strengths of VR technology. 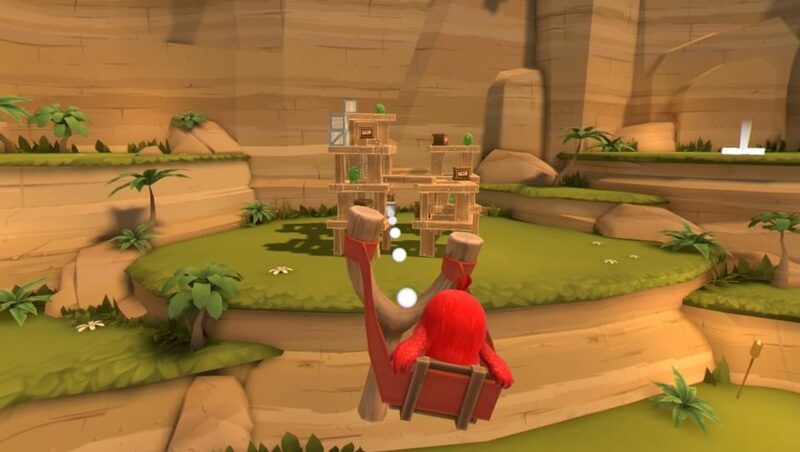 If you don’t know the premise of Angry Birds, it’s simple, you hold a sling shot and must launch said birds at structures populated by those dastardly pigs whom have stolen your eggs. In all honesty, any story here is irrelevant as the entertainment value lies solely in the gameplay. You need 2 hands to fire a slingshot and you need 2 moves to do so. As the play area is now in full 3D you can teleport to a few different points around each stage to get the best angle to take those pigs out. There are 4 themed stages, each with 13 individual levels that get progressively harder. Like EVERY other Angry Birds game, you are given a variety of birds each with their own abilities like a speed boost or explosion. The structures you need to take out may also contain explosives or air jets and bunch of other variables that can make your job easier or more difficult as you only have a set amount of birds to take out all the pigs. 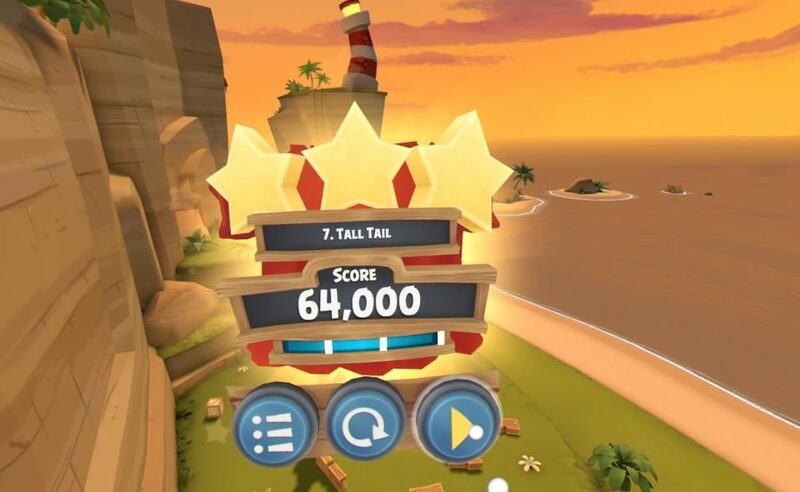 The 3-star ranking system that Angry Birds made an industry standard is still in effect so the key is to destroy as much of the level as you possibly can by using the least amount of birds as possible to get max points. Angry Birds looks good in the headset though does suffer some aliasing issues largely due to the scale of the levels compared to your position. I was still impressed by the visuals nonetheless and they decided to use the movie models in this game making it feel like a direct tie in. Each of the 4 themed stages looks great whether it’s the beach, cliff-sides, winter level or party zone the quality and refinement that went into those mobile games is here as well. Watching towers slowly fall over or triggering a chain reaction of explosions is just as satisfying as it’s ever been. It’s fun to change your vantage point around each stage, especially when that new view offers up a solution that may have been masked from just staying in one position. The physics at play are wonderful with different blocks (wood, ice, stone) all behaving differently based up their mass and watching the more complex stages collapse is always fun. The audio quality is top notch, though given just how simple of a game this is, that’s not to hard to accomplish. The different pigs and birds are constantly making noises during the game and cheer when their side wins. Some pleasant music is along for the ride and while the sound may not be remarkable, it’s effectively flawless. There isn’t to much else to say really. Blasting through the campaign could take as little as an hour if you have the skills though for myself this was closer to the hour and half mark as a few puzzles really held me up. Each world has a boss battle which involves a little more thought on your part as direct hits from your birds will not do enough damage to take him out, so you need to use the surrounding environment to take him down. The 3-star system is the main drive to return to the previous stages, but if you don’t care about that kind of stuff, there is very little else to draw you back, but that’s not necessarily terrible either. The one thing that did drive me nuts in my play time was the screen going completely black if you moved to far out of position, or even start the game with a bad setting. Just holding start to reset your position fixes this, but it did plague my experience. 3 Stars is always the goal. 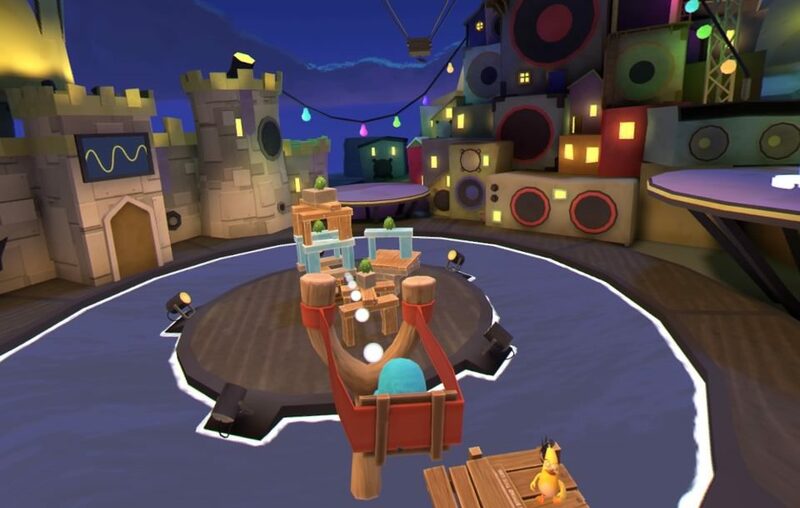 Angry Birds is exactly what I expected in VR and I was pleasantly surprised by that. It’s a smaller title for sure, but that’s the name of the game when it comes to this franchise. If you ever enjoyed an Angry Birds game, then I say give this a serious look as it’s very easy too pick up and play and has that ‘just one more try’ game style that will keep you playing until you beat the campaign. What would I pay? $15 is an alright price for this but given that this can be beaten in an hour or so, dropping this by a few bucks would balance out that content value. Still, I enjoyed what’s here and the devs are promising more content in the future so that price might be not so bad after all. Resolution Games provided The VR Grid with a press copy of this title and, regardless of this review, we thank them for that!